Danny joined Watsi on March 7th, 2015. Four years ago, Danny became the 981st member to automatically support a new Watsi patient every month. Since then, 4,095 more people have become monthly donors! Danny's most recent donation traveled 8,300 miles to support Tha Mee, a young woman from Burma, to fund gallbladder surgery. Danny has funded healthcare for 49 patients in 12 countries. Saro is a farmer from Cambodia. She has one daughter and four sons. She likes to watch Khmer dramas on TV. 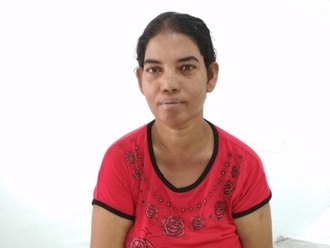 A year ago, Saro developed a cataract in each eye, causing her blurry vision, itchiness, irritation, and photophobia. She has difficulty seeing things clearly, recognizing faces, and going anywhere outside. When Saro learned about our medical partner, Children's Surgical Centre, she traveled for four hours seeking treatment. On December 4, doctors will perform a small incision cataract surgery and an intraocular lens implant in each eye. After recovery, she will be able to see clearly. Now, she needs help to fund this $398 procedure. She says, "I hope I can recognize the faces of my family after the operation and see clearly." 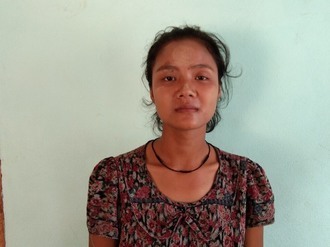 Myint is a woman from Burma. She lives with her husband and two children. Her husband is a motorcycle taxi driver, while Myint takes care of her children. 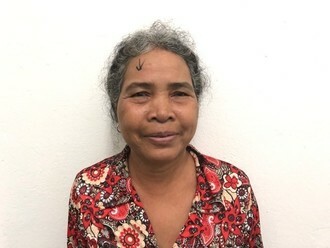 Myint was diagnosed with a heart condition that involves a malformation of the mitral valve, the valve between the left atrium and left ventricle. This valve controls the flow of blood, but certain conditions may cause blood to flow backward or the valve to narrow. 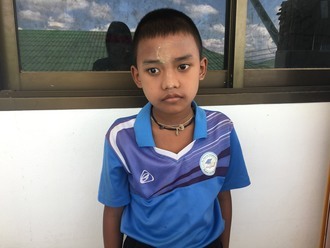 Currently, Myint has difficulty breathing and no appetite. She is always tired and has pain under her lower ribs. 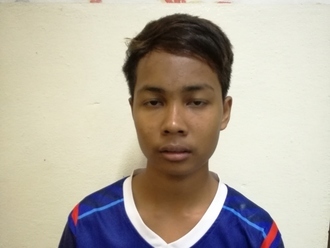 Our medical partner, Burma Children Medical Fund, is requesting $1,500 to fund a mitral valve replacement for Myint. The treatment is scheduled to take place on September 2 and, once completed, will hopefully allow her to live more comfortably. Anaya is an infant from Kenya. She has been diagnosed with hydrocephalus, a condition in which excess cerebrospinal fluid accumulates in the brain and increases intracranial pressure. Without treatment, Anaya will experience severe physical and developmental delays. Our medical partner, African Mission Healthcare Foundation, is requesting $685 to cover the cost of surgery for Anaya that will treat her hydrocephalus. The procedure is scheduled to take place on May 28 and will drain the excess fluid from Anaya's brain. This will reduce intracranial pressure and greatly improve her quality of life. With proper treatment, Anaya will hopefully develop into a strong, healthy young girl. “Your help is a miracle," shares Anaya’s mother.